People's Park is a park located near the University of California. The University bought this plot of land containing residences for future development into student housing, parking, and offices. However, they ran out of funds leaving the lot only partially cleared of demolition debris and rubble. After years of abandonment, local merchants and residents held a meeting to discuss possible uses and presented a plan for developing the under-utilised land into a public park. An article was published in a local counter-culture newspaper, to call for help from local residents. 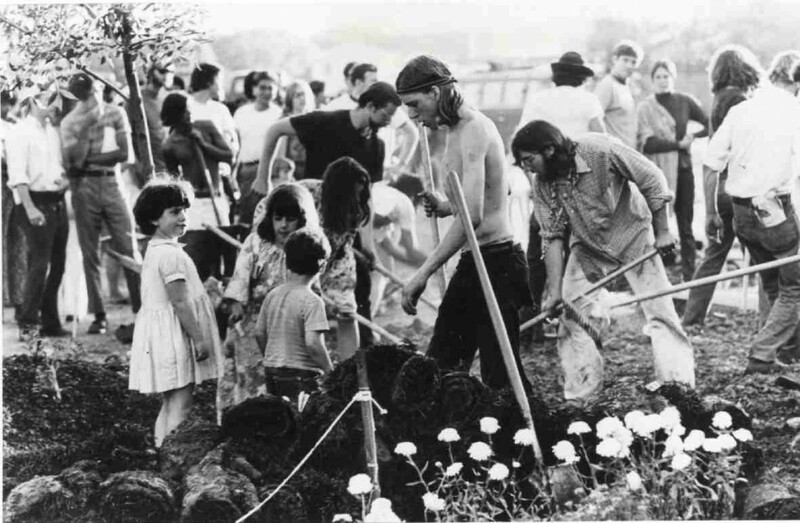 On Sunday, April 20, 1969, over 100 people arrived at the site to begin building the park, contributing trees, flowers, shrubs, andil. Free food was provided, and community development of the park proceeded. The park was essentially complete by mid-May but Berkeley Vice Chancellor released plans for a sports field to be built on the site. Governor Ronald Reagan considered the creation of the park a direct leftist challenge to the property rights of the university and he sent 300 police officers into People's Park. The officers cleared the area around the park destroying a large section of what had been planted and a perimeter chain-link wire fence was installed to keep people out. About 3,000 people congregated nearby UC Berkeley for a rally to discuss the Arab–Israeli conflict and, responding spontaneously, moved down toward People's Park. The protesters were met by the remaining 159 police officers assigned to guard the fenced-off park. The huge clash was called Bloody Thursday, it finished with more than one hundred residents and police agents injured, hundreds of protesters arrested, one student blinded and one dead. 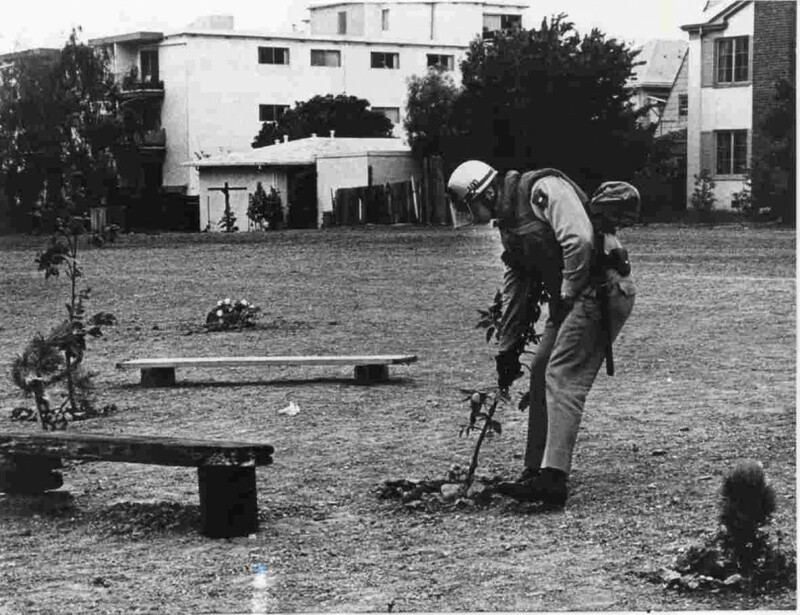 On May 30, 1969, 30,000 Berkeley citizens secured a city permit and marched without incident past the barricaded People's Park to protest Governor Reagan's occupation of their city, the death of James Rector, the blinding of Alan Blanchard, and the many injuries inflicted by police. The protests and demonstrations continued for two years. In 1972, the Berkeley City Council voted to lease the park site from the university. The Berkeley community rebuilt the park, mainly with people working for free and donated materials. Various local groups contributed to managing the park during the rebuilding.